The announcement, made by the minister during a press conference at his official residence, followed selection of his son Brijendra Singh''s name as the BJP candidate from Hisar in Haryana. Chaudhary Birender Singh joined BJP in 2014 after his over four-decade-old association with Congress. 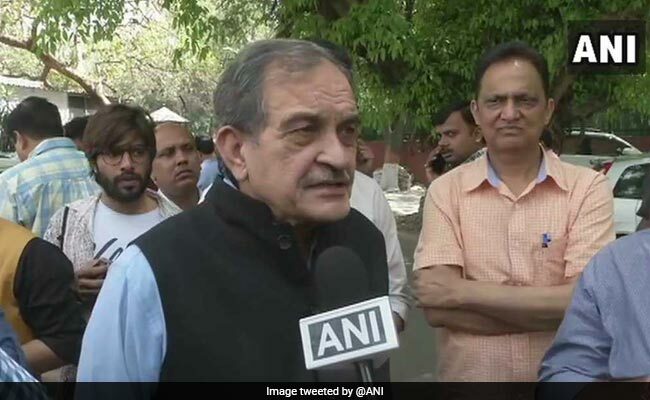 Union Steel Minister Chaudhary Birender Singh, a senior BJP leader from Haryana, today said he has offered to resign from the cabinet and from Rajya Sabha. The announcement, made by the minister during a press conference at his official residence, followed selection of his son Brijendra Singh's name as the BJP candidate from Hisar in Haryana.